IFB Microwave Oven Customer Care Number is provided below for customers for customers to contact the company for any service queries or issues they may have with their IFB Microwave Oven. Mentioned below are Contact details, email support, Service, complaint registration and Email Support details to enquire/register your product support issues to IFB Microwave Customer Support Team. Microwave oven Demo information and FAQ’s are given below for the benefit of the customers to get detailed description regarding working of microwave oven. Email id is also mentioned here for the customers to login their complaint details. SMS Care: The Company also offers a mobile SMS care service through which users can raise their issues. SMS ‘IFB’ to 58888. Customers can visit nearest service center in order to resolve their product issue. Click the link below to know your nearest IFB Dish Washer service centre. Users who are not able to get their service queries answered through the phone or customers who have long service issues pending from the service centers can raise an online complaint through the online complaint registration facility made available here. Customers can clear their queries regarding IFB micro wave oven through following link .Customers can also get live demo about working of micro wave oven at the same above link: Customers can get updated information related to IFB microwave oven from the company website. It provides 1 year manufacture warranty on the product. Warranty period for magnetron and cavity is 3 years, which means you need not worry about microwave over for a long time. For further more information on warranty claims please visit website. IFB is a famous House appliances brand in India with its Washing Machine range being the top most products. They have also introduced other products in their model range with Microwave went on to become a good success. Here are some famous models of IFB Microwave oven India: IFB 30SRC1 (Rotisserie) Microwave, IFB 30SC3 Microwave, and IFB 20SC2, IFB 23BC3 Convection Microwave, IFB 38SRC1 Convection Microwave etc; the capacity of these ovens range from 25 to 38 liters. 17PM-MEC1 Solo – 17 litre Microwave Oven is in the list of top selling IFB micro wave ovens. The IFB micro wave oven product range includes Convection, Grill, Convection plus Grill and Built-in ovens and rotisserie ovens. The features for rotisserie 38 liter micro wave oven are 150 auto cook menu, steam clean, deodorize, and keep warm, multi-stage cooking, quick start and child safety lock. With the help of steam the grease in the machine is cleaned in a couple of minutes, this is what steam clean means. Deodorize makes the grill elements clean and the microwave free from germs and odor. Keep Warm feature delivers a very low power microwave pulse that keeps the temperature of your food at a constant level without overcooking it. It can be activated for a maximum of 90 minutes. This oven has in-built memory which can store up to three levels of cooking. For any other information related to oven prices, product services and warranty please visit the company website provided below. STRONGLY RECOMMEND EVERYONE NEVER TO BUY IFB PRODUCTS AND SUFFER…. CHECK THE NUMBER OF DISSATISFIED CUSTOMERS. SO SAD FOR A REPUTED COMPANY LIKE YOURS. My IFB microwave 30SC3 was giving trouble so I have called customer care of IFB and was given the ticket number12007067. repeated calls and reminders to attend to the problem fell on deaf years. Each time I call I have to wait endless on the answering machine and all they do is ask for my address and keep confirming my address as if i shift my house every single time I call them. I was so irritated after the number of times I called and finally shouted wanting to speak to the supervisor who also apologized and said the problem will be resolved within 24 hours and now it is more than one and a half months…. since the problem began. finally after writing so many letters and making many calls, finally a technician came who surely did not know his job because the whole house electricity was getting tipped and then he said he fixed it and the mesh was dirty, which actually was not and then he charged me rs.230/- for home visit and then he the problem persisted, so I called him again and he said the unit had to be brought to the Bhopal office in trilanga, which we did take it there. they kept the microwave for 2 days and said it is done and so we brought it home to find they had not even put back the screws and it all opened out again…. The problem went on just like before. They said the electrical wiring was faulty and so I called the electrician and got everything checked, again necessarily paying and hiring an electrician. Again we got another ticket number 12195510… I was just plain disgusted to the core at the attitude of a reputed company like IFB and cursed myself for fighting and getting a IFB microwave and the bad choice I have made. Again I called the bhopal franchise people and their attitude and talk and behaviour was so casual. He tells me over the phone that they have checked the unit and nothing is wrong. So I said how could you say nothing is wrong when the fuse is going off each time I put it. He says, do one thing, go to your neighbours house and check if the microwave works there. I was frothing mad at those idiots. They are a usless bunch who need to be sacked with immediate effect for their callous attitude. brings such a bad name on the company too! Then my husband checked and found out that there was something wrong with the door, as each time we closed the door the fuse went off so again we approached a friend who knew someone in IFB Indore sector who arranged a technician to come. Now he came on Monday 13th January and couldnt find out so we told him it was the door and then he too found out that there is a mistake in the door/switch Then he said he would come today 15th in the afternoon. So I called in the morning to remind him that he has to come in the afternoon and he says, sorry I cannot come because I am going to sehore for some other service and so call this number Mr,Anil 9926534104. Called him and he says he will send someone tomorrow. I have waited one and a half months without justice and at a time like winters when you really need a microwave. II NEED JUSTICE……………..First a reputed company like IFB should have better qualified people to handle simple matters and something like Waiting from the month of NOvember to get a problem fixed is no joke. They should compensate me for the losses I have suffered and the mental torture that I have been through. I have already registered my complaint about my problem but having seen all these posts I feel that I must now recommend everybody that they should not buy any ifb product otherwise they will have to face so much problems and harassment. so every body out there, watch out before buying ifb. coz if it is damaged all your money is gone. moreover you will have to face harassment and huge telephones bill that will result from the calls that you will make to register you complaint and call for service providers.!! so beware of ifb products..
we have purchased microwave convection model number: 30SC3 ,2 years ago and since then it has some problem that it stops heating after few days. we have made this complaint many times. Firstly, the ifb people don’t come. n if they do they come after weeks that too when we make hundreds of calls. moreover they ask for money for their visits even though our microwave is in warranty period. our problem has not yet been solved. they every time say that “some part have been damaged and needs to be replaced. we need to import the part from some other place and then take weeks to respond. we had a talk with Mr. RAMAN and he also hasn’t done anything. And yes these people that come at our place have charged many thousands in these two years. and now I feel that it has been a big mistake that we bought an ifb product because ifb’s sevice has proved to be the worst till now. we are using so many products but haven’t had such kind of experience. the problem that begum 2 yrs back within a month of purchase of the product have not yet been solved. is this what ifb is famous for?? I am really very dissatisfied and disappointed with this. I feel that all my money got wasted. so pls if anything regarding this problem can be done do it as asap. waiting for your response. For the last SIX MONTHS, I , my wife and my daughter have been lodging complaint for a problem with our Microwave. Even we went to your stall at International Trade Fair , New Delhi and met some officials and briefed them about the problem . We were assured that it will be dealt with urgently. After waiting for two more months, I contacted Mr Manish Sagar in Delhi and told him about the harassment we are facing from your service people who never bother to attend to our complaint. He assured me that it will be done in a day. But after two weeks, we have not heard from anyone. My sms to Mr sagar went un responded. Is this the way you treat your customer ? Can someone pls attend to our complaint? today its 10/01/2013 and no one come and rectify my oven please advice me that what have to do? I perched a Microwave oven sl. no. 005268120915001929 Invoice No. RI-1467-:-2012-13 on 31/12/12 from Guru ji ELECTRONICS PATAIL NAGER New Delhi, at the time of purchase they told me that the Demo session will be held with in 24 Hrs but no demonstration held till date (04/01/13 1700 Hrs.) I am very disappointed with this after sale service and decided will not purchase any product from your Company. As I already perched a microwave so will you please arrange a Demo at my House (My Address already with you). ( 18604255678) but nobody is picking up the phone. please advice me what should be my next step for Demo of microwave. I perched a Microwave oven sl. no. 005268120915001929 Invoice No. RI-1467-:-2012-13 on 31/12/12 from Guru ji ELECTRONICS PATAIL NAGER New Delhi, at the time of purchase they told me that the Demo session will be held with in 24 Hrs but no demonstration held till date (03/01/13 1500 Hrs.) I am very disappointed with this after sale service and decided will not purchase any product from your Company. I am a professor of a reputed Institute in India. It has found that IFB Customer Care is not doing their job properly. Only they are taking the money as Annual Maintenance Contract. The service of the IFB is worst. After repeated calling to the IFB they are not coming to rectify the problem. IFB cheating to us all. I had lodged a complaint to the Customer Care on 14 Oct 12. Complain number is 10168382. It has been 15 days since and no action has been taken. During this time I have contacted your customer care no less than six times and still no action has been taken. Today instead of patching me to the next superior officer, the representative put me on hold for 5 mins waiting for me to hang up. For someone who is located in a cosmopolitan city of DELHI, if this is the type of service back up which is provided then I am sorry to say that it was a mistake to buy your product. However now that I have only your products in my house, I am sure I will not be recommending them to anyone in future which till date I was doing. may I therefore request you to kindly send a representative of your company to hand over a GLASS PLATE of model number 30SC2 which was broken while cooking and also advice me as to what went wrong which has resulted in the breaking of the glass tray during cooking in convection mode. I shall be grateful if the company responds otherwise all I can do is to throw it in the nearest dust bin. My mobile number is 8860155606 (INDIA). I had problems with my IFB microwave oven 30sc1 and I had taken AMC also for the same. I live in Nagercoil and the authorised service agents Aruna care do not attend phone calls when we lodge complaints. Already I had spent more than 4000Rs. towards service and AMC. However the results are bad. Today I went in person to the service station and informed but there has been no response. Pl. advise. My IFB microwave oven (30SC2) has stopped working.It is getting switched on but not heating at all.Been trying the customer care no. given on the website (3900 4321) but haven’t recieved any response. Please help. 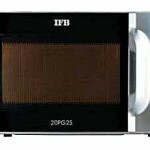 We have IFB microwave 25SC2 purchased on17/04/2011 from bhubaneswar centre. I is not working. In this regard I have contracted to Bhubaneswar Service centre phone no. 9437579118, on 16th this month. On 17th. one person came and returned without soughting out the problem. Now they are not responding. could you plz help me…….. I have purchased IFB Convection Microvave Oven Model 30SC3 on 12 Oct 11, After requesting so MANY TIMES to the Dealor ASHA & COMPANY, Allahabad & customer care for a DEMO no one has turned sofar,would you pl.look into the issue & pl.let me know the action you have taken. i have IFB Microwave witch is not working last 22 days. i have complin manny time thare is not response. So take accation. i have bought a microwave just 2 months before…..and its door lock has been broken..
i have called customer care…technician came and said that the part which we want is out of stock…now it has been 4 days….could you plz help us..
i have bought a microvave just 2 months before…..and its door lock has been broken.. I have purchased a microwave oven three months back.A coin has fell inside the oven. It is under Warranty .Please do the needful. I have purchased 30 ltr IFB convection microwave on 13/11/2010 and I personally asked for the demo and procedure for use. I have contacted Mr. Ravi (9312729399) but no result so far. Please do the need full immediately . Thanks. My microwave oven is not working. Model is 20PG2S. Please take step as soon as possible. My contact number 97909 79198, 97899 87763. I have purchased IFB 20sc1 microwave. My microwave is not working. So, kindly solve the problem as soon as possible. In my IFB microwave oven start button is not working . kindly do the needful. I have some issues with my IFB microwave for which i have registered the complaint# 5034838, this complaint is registered by calling the so called customer care number since 1 September, since then i have been calling regularly from last 10 days that no technician has ever contacted me even the single time.More when i call the customer care and ever wanted to speak to supervisor or manager they have always one answer that either the manager is busy in meeting or not available but again a fake promise of call back in 30 minutes.I am truly fed up with this service. I wish i would have purchased LG instead of IFB because there service is marvelous and within 24 hours.I am badly frustrated and needs a resolution ASAP. NEVER EVER BUY AN IFB IN YOUR LIFE EVER !! My IFB microwave oven which is about one years old has developed a problem. Please call me at 9312665821. My IFB microwave oven which is about two years old has developed a problem. Please call me at 98447 26690. I live in Mysore. You can reach me at 98414 07060. My micro oven is not working for last 3 days & I had lodged the above complian to get the fault rectified. After lot of follow up and 3 days of lodging the complain, one technician came & inspect the micro oven and finally said that the machine is working fine and don’t require any service and left the place ! He did not have any complain paper or Job Sheet which is required to be signed by the customer. I object against this type of act of the technician and want to have the fault to be rectified with urgency to justify the value of the Manitenance Contract I have with you & the money you have received for the same. Otherwise, I would have to lodge a complain to the Consumer’s Forum to get this issue settled with urgency. this is to inform you that my microwave oven model 2307/09/00457 dt 5.11.07 has problem of locking the door is not closing properly please take up this complant.